Welcome to HMS Products Co.
We thank you for choosing HMS Products Co. to assist you in making your Press Automation Decision. HMS Products Co. had its origin in 1960 as a design services business. 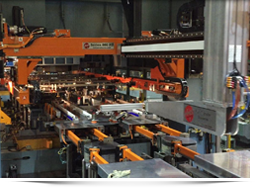 Very early on we recognized a need for high performance Pressroom Automation, with a keen focus on Tooling Integration. Our company has been in and around the pressroom for over 40 years. Minimize travels wherever possible, and efficiently use available time. Support your Customer from day one to the conclusion of each successful launch. This recipe had yielded Successful Projects, Higher Productivity Rates, and made our equipment the industry standard for many years. Market conditions and a Customer’ expectation of complete flexibility has required HMS to re-invent our product line to match the needs of today’s global stamper. 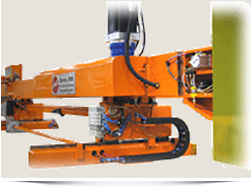 Over the past several years HMS Products Co. has been in an ongoing development cycle focused on Full Servo Transfer Equipment. 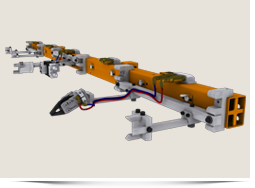 This same passion for up front design, High Performance, and Excellence has allowed HMS to roll out and successfully launch very distinct designs of Full Servo Transfer equipment targeted toward specific Press designs, Market needs, and Performance levels. At HMS, we have never had it in us to follow. That’s why we have blazed new trails on our own and built a reputation at the top of the pressroom automation industry. We’re not just at the top in sales, we’re at the top in innovative contributions. 1200 E. Big Beaver Rd.